Grover Cleveland’s birthplace was built in 1832 as the Manse, or Pastor’s residence, for the first Presbyterian Church at Caldwell. Cleveland’s father, the Reverend Richard Falley Cleveland, was the minister here from 1834-1841. Originally, this frame house had a two story main section with a one-story kitchen to the east and a one-story lean-to at the rear. It was enlarged several times between 1848-1870 to meet the growing needs of the Presbyterian clergy. The house is a good example of local vernacular architecture. 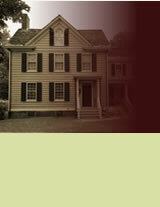 The historical significance of the Manse was first noted in 1881 when Cleveland was running for Governor of New York. As his political star ascended, so did the interest in preserving his birthplace as a museum. A group of Cleveland’s friends and admirers began negotiations to purchase the Manse in 1907. Their efforts culminated in the opening of the house to the public on March 18, 1913. 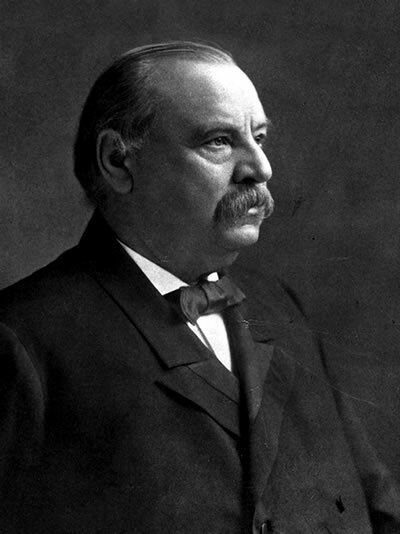 Most of the first floor rooms portray the Manse as it was in 1837, the year Grover Cleveland was born. The decidedly middle-class character of the rooms reflect the day to day life of Reverend Richard Cleveland and his family. Among the artifacts on display from Cleveland’s early years are his cradle and original family portraits. Contrasting sharply with the humble beginnings portrayed in these rooms. The exhibit gallery features a striking display of artifacts that reflect the financial and political success Cleveland achieved during the last quarter of the 19th century. Here, the mud slinging campaign of 1884, the public’s intense interest in his wife and children, and America’s political climate throughout his split terms of office are explored.